Robin Roberts has been the definition of strength and grace. While balancing a very public life as co-anchor of ABC's "Good Morning America," she has battled breast cancer and myelodysplastic syndrome (a rare blood disorder) to show millions of people it is possible to fight and survive. And Roberts is quick to credit her family, friends and faith for getting her through those tough moments. In her new book, "Everybody's Got Something," Roberts chronicles her journey, from growing up in the Mississippi Gulf Coast to her latest return to the morning airwaves. 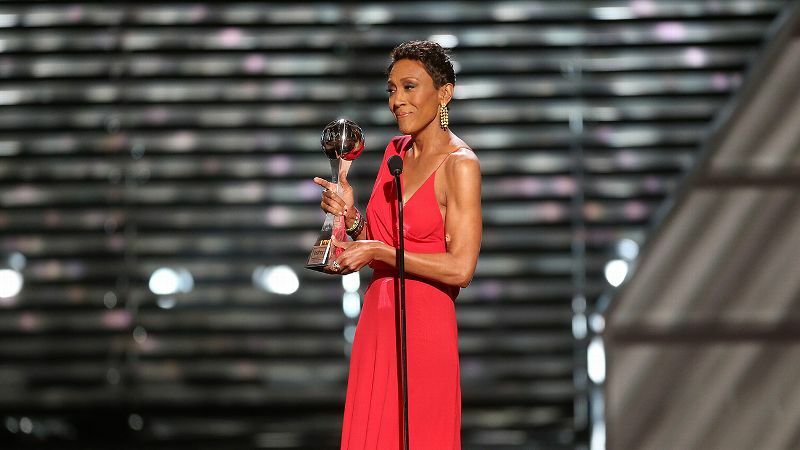 Below is an excerpt from the memoir, in which Roberts discusses how she tried to relay her myelodysplastic syndrome diagnosis to friends and colleagues as she was being inducted into the Women's Basketball Hall of Fame. I'm blessed that I am able to do special things for my family, such as arrange a private jet when my mother's health was failing ... I never take it for granted, and they fight me every step of the way. They don't want me to feel like they expect me to do anything extravagant for them. To the contrary, when Mom arrived at the airport, she slipped me a $20 bill. She does it every visit. She calls it "greasing my palm." So sweet. Roberts' book, "Everybody's Got Something," is available now wherever books are sold. A number of old friends were in Knoxville for the ceremony, and I was grateful to be able to tell them about my treatment face-to-face. A group from my alma mater, Southeastern Louisiana University, made the trip from Hammond to support my entry into the Hall of Fame. They were touched that I told them personally before the rest of the world found out. I got a chance in Knoxville to share the news with ESPN executive John Walsh and his wife, Ellen. I love them, and they were also very close to my mom. Val Ackerman, onetime president of the WNBA, I remember pulling her aside and telling her in the lobby. I remember telling Pat Summitt about my diagnosis. I wondered, "How am I going to do this?" Here she is, dealing with all of her health challenges. But I told her, and her embrace was more than a hug -- it was as if she was physically gifting me with a wellspring of strength and courage that would be with me for months to come. I wanted to tell my friends, as many as I could in person, because I'd learned a few things since my breast cancer diagnosis. This is how naïve I was in 2007. I thought I was just telling GMA viewers because they are like family. They invite us into their homes every morning for breakfast. I told everybody who is close to me, so now I'm going to tell everyone else. I didn't realize back then that for a morning show anchor to share a major medical diagnosis on TV was a media moment that would be picked up by digital, radio, print and TV outlets all over the world. When I sat in that chair and shared my news with the GMA family, I didn't think, not for a second, that it would mushroom the way it did. This time around, it was important for me to get to as many relatives and friends as I could. Being in Knoxville for my entry into the Hall of Fame was a great balance to the bad news that I had to share. The celebration of my athleticism was a reminder that "I've got the physical chops to deal with this." 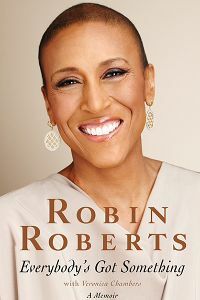 Excerpted from the book "Everybody's Got Something" by Robin Roberts with Veronica Chambers. © 2014 by Robin Roberts. Reprinted by permission of Grand Central Publishing. All rights reserved.